In The Future Internet: Alternative Visions, a diverse group of futures researchers explore alternative visions of the future Internet, highlighting key uncertainties that are not well addressed in the current discourse about technology and policy developments. Corporate, academic, and policy visions associated with the future Internet present a techno-utopian view, focusing on the integration of myriad computational objects into the everyday environment in order to enable economic growth, strengthen security, enhance business and government efficiency, and promote environmental sustainability and personal convenience. 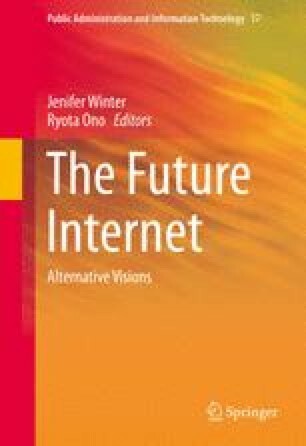 Contributors to this volume probed the underlying values, beliefs, and thinking that are influencing those futures, and presented a compelling array of alternative visions about the future Internet. In this concluding chapter, we perform a macroanalysis of the scenarios presented in the preceding chapters from predictive, cultural, and critical futures studies perspectives and discuss the role of futures studies and images of the future as a means to help stakeholders make truly “better” decisions about the future of the Internet.